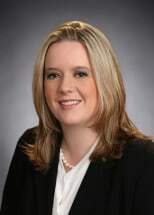 Laura Kate Underwood joined Stubbeman, McRae, Sealy, Laughlin & Browder, Inc. in 2014. Her practice is concentrated in Oil and Gas Title Examination. Prior to joining the firm, Kate worked as a landman researching mineral ownership, producing Abstracts of Title and performing curative title work. Kate received her B.S. in Biomedical Engineering from The University of Texas at Austin in 2007 and law degree from St. Mary's University School of Law in 2013. In 2013 she also became a certified Texas Mediator. Kate is a native to Midland and after spending years in the hill country is happy to call West Texas home again. Ms. Underwood is admitted to the State Bar of Texas. She is also a member of the Midland County Young Lawyers and Young Professionals in Energy.